While LEGOs may be a pain to step on, they are highly beneficial for children to play with. Your child’s imagination will come to life as they use the LEGOs to construct their own creations. Their fine-motor skills and spatial awareness will improve with everything they build. Whether they are following instructions or creating their own piece of art, they will increase their ability to focus and concentrate. Instead of us going on and on about the benefits of your child playing with LEGOs, we’ll let you start reading through our list of the 10 best lego sets. LEGOS are a wonderful way for your child's hands to stay busy. All of these are sets but LEGOS are also a wonderful item to have because you can use pieces from sets and build something entirely new. We made sure that our list still had the best kits that your child will love. We also converted this guide to our new layout. 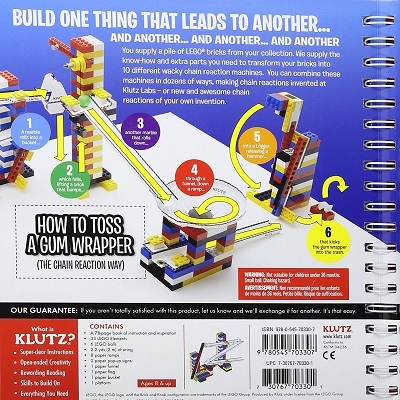 Ten incredible and mind-blowing contraptions that come together to build a chain reaction; make use of 30 lego elements to wrap a tire around a pole or make a zip zag rope finish line. Lift, pivot, spin and create non-stop motion. Every kid should be introduced to physics about as young to this age as possible. 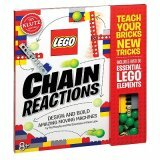 After building the projects in the instruction manual, your child can really get creative and build their own chain reactions. Your child will have a blast without realizing they are being introduced to science, engineering, and physics. Your child is sure to love physics after playing with this chains reaction kit. Physics is so dynamic that you can continue teaching your child how physics work after you introduce it to your kid through this kit. Your child grasps the concept of building chain reactions in different areas of play and utilize outside sources to build their very own chain reactions. This 33 piece kit includes neat elements like spinning balls and pop up signs. 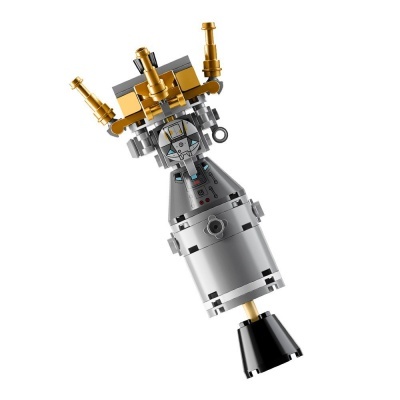 Build NASA’s infamous Apollo Saturn V with this exquisitely designed and detailed LEGO set. When finished, the replica will be a close proximity of the original rocket, at a 1:110 scale of the size. You can dismantle the rocket phase by phase just like they do during a takeoff. 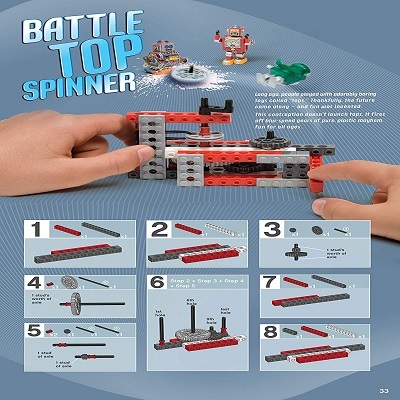 With easily removable pieces and a detailed instruction manual that will walk you through various facts about the original launch as well as how to build and mimic the event with your own LEGO set, your little one can be an expert for a day as they send their ship out into space piece by piece. The finished product measures thirty-nine inches high and six inches in diameter and includes three stands to display the piece horizontally. Two astronaut LEGOs round out the set. Page Mission Control and get to work! It’s a huge display when finished, but well-executed by its designers in both accuracy and aesthetic appeal. Putting it together is a challenge, but not impossible, and the booklet with facts and information about the original launch make this both fun and educational. 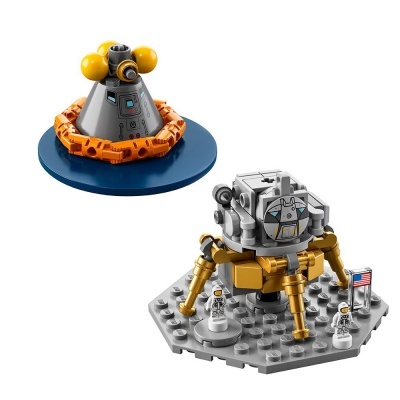 The set includes a Lunar Lander for docking the rocket, as well as a Lunar Orbiter for launching the Apollo out into the universe. This beautiful replica set allows you and your family to recreate a real-life rocket ship. An instruction manual lends a hand in guiding conversation regarding the event, so you can teach and play together at the same time. This set allows your boy the chance to recreate one of the coolest secret hideouts of all time: the notoriously mysterious Batcave. 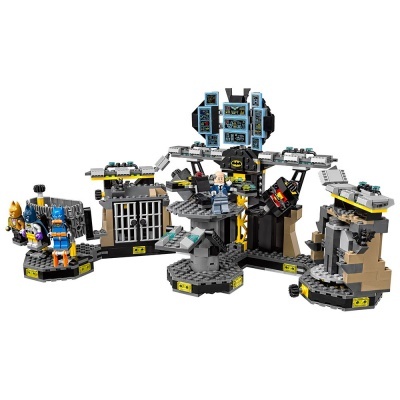 It’s modeled after the very same Batcave that appears in The LEGO BATMAN MOVIE, and it comes with a large array of characters and gadgets. When it comes down to it, there’s just so much to explore and so much to do. More exploration means more creative thinking, which is always a plus no matter what toy your boy plays with. With the pieces being composed of a durable plastic your child can enjoy playing with this set for years to come. In fact, your child can leave the set fully built and put it on display in their room. The set is comprised of a whopping 1,047 pieces, so you know your boy is guaranteed to stay creatively engaged for hours on end. Comes with windows, doors, and other special building features to let his imagination run wild. If you want to give your boy a building toy he can play with even when he is already a centenarian, then give him Lego’s Classic Creative Bricks. 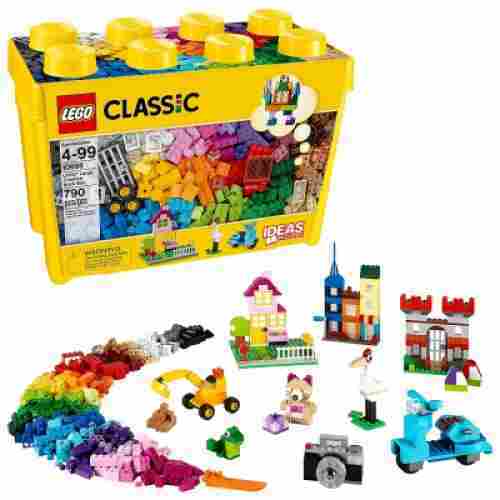 You can either get the small box that contains 221 pieces or the bigger box that contains 700 pieces so he and his friends can create different things while learning how to build and solve problems. With 790 pieces, this open-ended toy will allow your child to unleash their creativity. The 33 different colors included in the box will stimulate your child’s sensory development while also giving them the colors they need to build anything they can think of. The small box comes with 221 pieces while the larger one comes with more than 700 pieces of colorful Lego bricks complete with a baseplate. It also includes a brick separator to make disassembly a breeze. 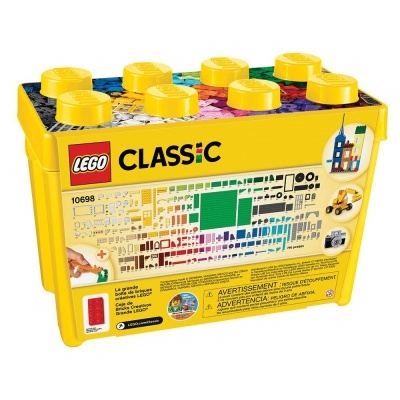 This classic LEGO set is good for your child to build problem-solving skills he can use as he gets older. 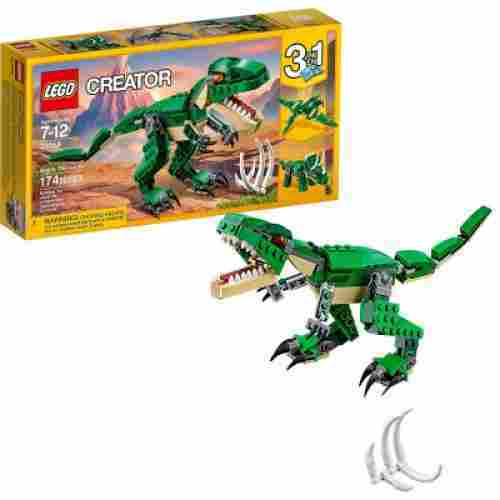 Using just 174 pieces, your kid can get create up to 3 different dinosaurs. Of course, the initial draw for kids is building the T-rex, but it’s a 3-in-1 model so your kid can transform the T-rex into a Triceratops or a Pterodactyl. The LEGO Creator Mighty dinosaur lets your boy get both creative and critical. 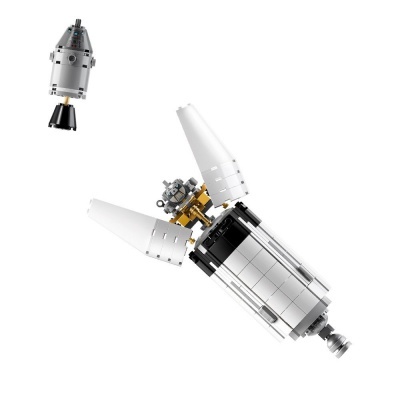 All LEGO sets are pretty much puzzles in one way or another, but the rebuilding aspect of this model adds another layer in addition to fitting together building blocks. 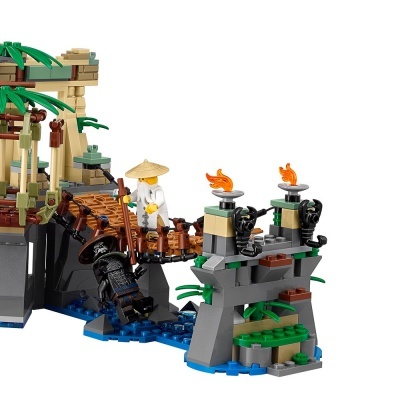 Comes with 215 colorful bricks to let him make three well known animals, plus one we have never heard of or seen before! The parrot, frog, and fly comes with rotatable eyes. This allows your son to make these animals come alive in his imaginative mind! Lets your child create a whole different species if he wants to create something new. Who wouldn't want to try that? Once the animals are created out of the LEGOS, they even have eyes that rotate, a mouth that opens, and the parrot comes with articulated wings. 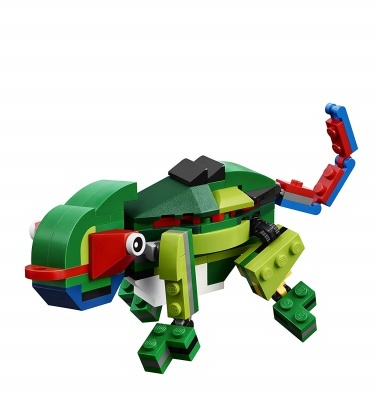 For kids who are fans of Blue, they will love Lego Creator’s Rainforest Animals. The set contains 215 colorful bricks that will allow kids to create a parrot with fully articulated wings and fully functioning beak and eyes. 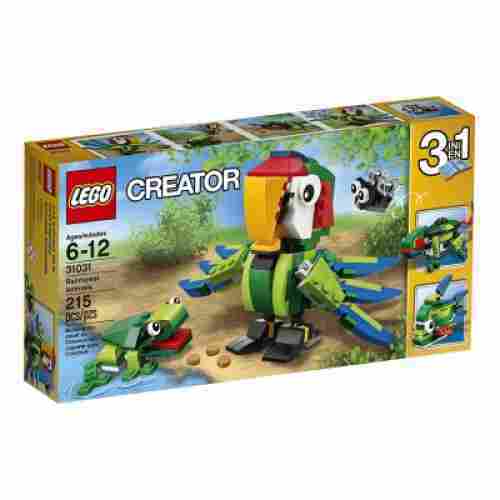 This creative and fun LEGO set will allow your little boy to create three, or four, different animals. The fourth one will depend entirely on his wild imagination. First, he can create a fully functional parrot with wings, beak and eyes included. However, with 215 colorful LEGO bricks, he can also make a frog, a fly, and even a tropical fish. We love the endless possibilities of Lego’s Creator line. It really pushes the boundaries of what a child’s mind and imagination can achieve. It also includes a fly, a tropical fish, and a frog. Now, combine all of the bricks and your boy just might discover an entirely new species. 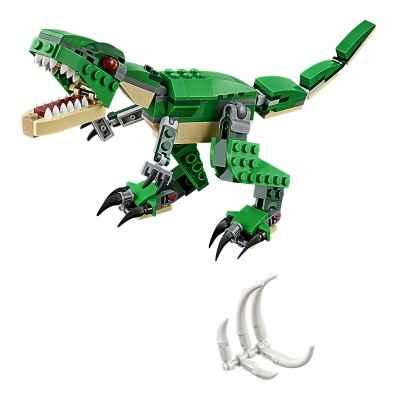 Now, back to the idea of the fourth animal: Let your son take all of the different 215 bricks and with his wild and awesome imagination, he can create an entirely new species of animal that no one has ever heard of before. 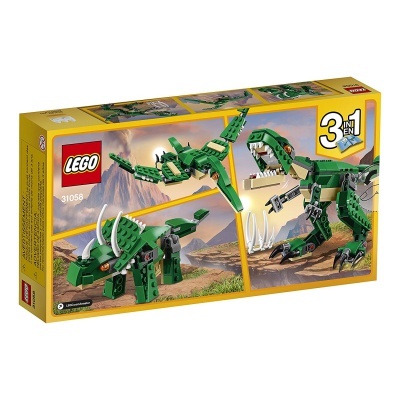 This LEGO set will let him build creative thinking skills as well as the endless possibilities of his very own imagination letting him run with it and create a brand new animal! Excellent way for your boy to recreate aspects of the film. 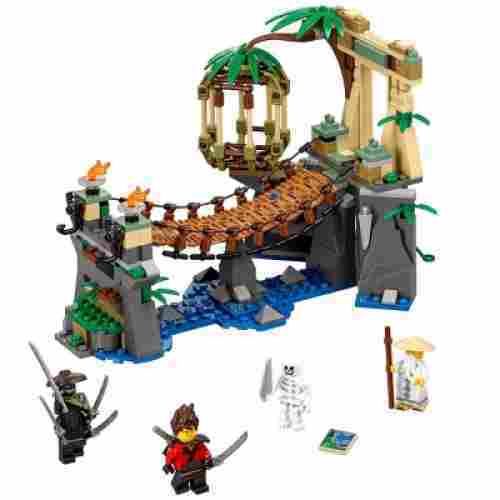 The 312-piece NINJAGO MOVIE MASTER FALLS set lets your boy explore the exciting world of The LEGO Ninjago movie which he probably already loves. With three included mini figures who each have their own weapons, your child can enjoy hours of imaginative play. The hidden cave and the opening cage will take the fun to the next level. This set comes with over 312 pieces your child can build and enjoy with. The fact that your boy can build a natural wonder such as the jungle definitely makes for a good time. We typically associate LEGO sets with buildings or vehicles but creating some scenery in addition to structures will certainly broaden your boy’s imagination. Plus, your boy will love reenacting his favorite parts of the Ninjago movie. 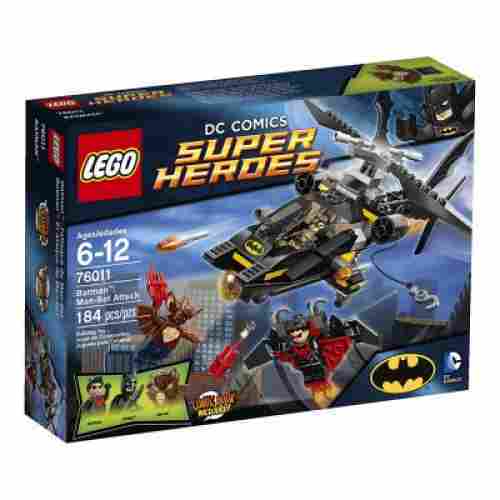 Comes with Batman, Nightwing, and Man-Bat minifigures. Comes with many different accessories including Batman's Batcopter, Nightwing's Glider and a grapple. 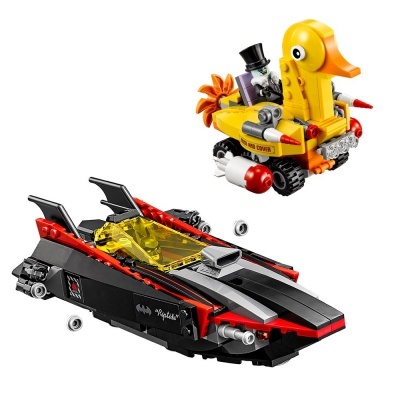 Also comes with a cockpit in the Batcopter to put the minifigures. Once your little boy is armed with the Lego Superheroes Batman Man-Bat attack set, Gotham’s worst villains will be running for the hills. Your child can join forces with Batman, man-bat, and Nightwing to save the day. The villains won’t stand a chance against man-bats dynamite attacks. 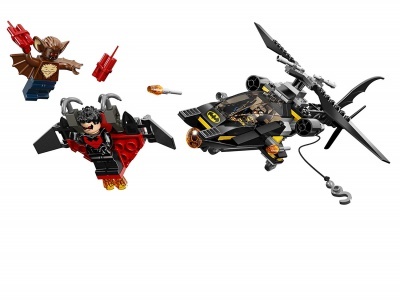 Nightwing can fly his glider into battle and Batman can soar in on the Bat-copter. The Bat-copter is designed with a cockpit that opens, flick missiles, a working winch, and spinning rotors. The pieces are highly durable so your child can enjoy this set until they grow out of it. On the rare chance that your child gets bored with the set, they can use the legos to build new creations. As they link the pieces together they will increase their fine motor skills as well as their hand-eye coordination. With all of the fun pieces this set includes, children between the ages of 8 and 12 are bound to be entertained for hours. The included instructions are easy to understand, so children of all ages will be able to build this set without a problem. With several pieces having the ability to move, your child’s imaginary adventures will be taken to the next level. 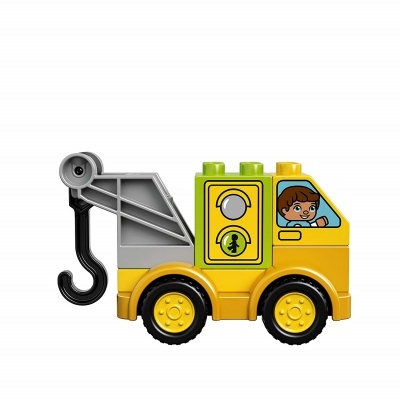 This Lego set gives toddlers the chance to create a variety of vehicles and structures by matching wheelbases with cars, fire trucks, dump trucks, and cranes. 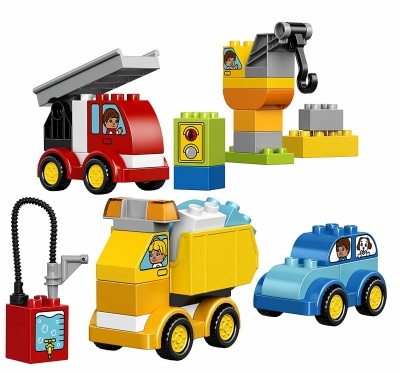 The LEGO DUPLO bricks are decorated with various drivers, passengers, and windows so your boy gets the chance engage in role-play with a variety of characters. 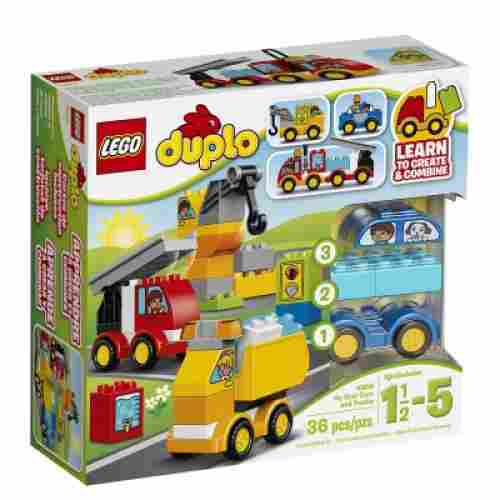 The LEGO DUPLO blocks are designed with the safety of toddlers in mind. 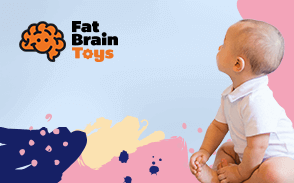 Since it’s designed for children aged 18 months-5 years, you can get the fun rolling during formative years. 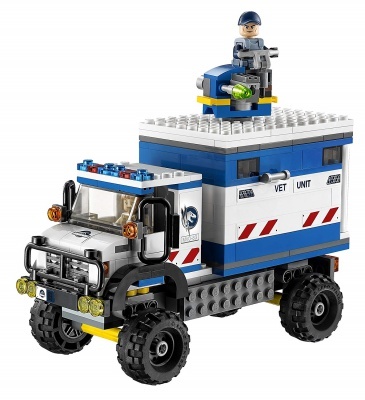 The set is specifically geared towards toddlers which lets younger ones get in on all the great LEGO action. This set comes with a variety of different structures that your child will be able to enjoy and build with. The decorative blocks are great for sparking the imagination, and it’s always good to get kids using both their minds and their hands at an early age. Drive the mobile vet unit while chasing dinosaurs. Your child can create his own Jurassic Park with his imagination! Think of how different it could be or even the same as the movie! 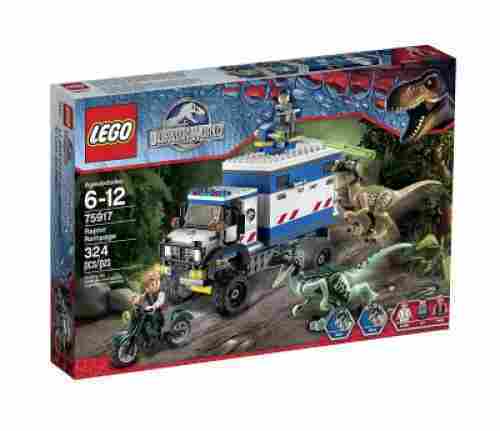 Comes with three minifigures including Owen and Claire and the weapons needed to get those dinosaurs! Comes with Owens motorbike and ACU trooper's tranquilizer gun and other accessories to make this a really fun adventure for everyone! With the Indominus Rex wreaking havoc still fresh in kids’ minds, give your boy the Jurassic World Raptor Rampage and let him relive the adventures of Owen and his 4 fully-trained Raptors. The 324-piece set builds a mobile vet unit and Owen’s motorbike. It’s all about recreating the rampage on the island. This should elevate your boy’s imagination to whole new levels. It comes with 324 LEGO pieces to let his imagination go wild! 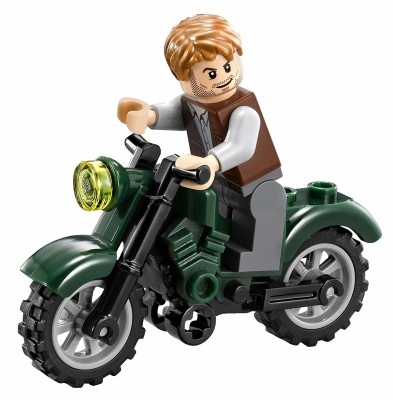 It comes with a variety of accessories including Owen and Claire mini figures, Blue and Charlie raptors, and a Jurassic World special actions officer. Did you like the Jurassic Park movie? If you enjoyed watching this movie with your children, you can relive it and go on a dinosaur hunting adventure with your kids. This LEGO set can increase your little boy's imagination. Let him pretend he is in the dinosaur park while building the mobile vet unit and Owen's motorbike. Although you want your son to have fun, it is best for them to learn different skills while they are entertained. Learning and entertainment go well together because it is easier for children to learn new skills while they are having fun. Let them enjoy themselves and the learning will come naturally and be more enjoyable for them. Learning new skills might be the main thing you want for your children when it comes to choosing the best LEGO set for their skill level and age but you want them to be able to have fun at the same time. Like mentioned above, these two very important things in life go hand in hand and come by easier when learning and entertainment are linked together. Let them let loose and have fun and you will be entertained as well just by watching them play and build with their LEGO sets. As we have said above, choosing the right LEGO set is very challenging. Why? For starters, our usual parameter of looking at the developmental appropriateness of the toy is already nullified. LEGO toys are already proven to be excellent toys when it comes to ensuring a child’s physical, mental, cognitive, social, and emotional development. Technically, you can just pick any LEGO playset and you will never go wrong. Unfortunately, we still have to provide you with a list of our 10 top LEGO sets for boys. As such, we have to look at the overall design of the toy including its appeal and value to young boys. Additionally, we also have to look at the feedback and positive reviews of consumers. Sharing is another thing you want your child to learn because it is nice to share with their friends. After all, you don't want them growing up thinking everything they have is theirs and theirs only, right? Right! You want your child to learn to share their toys and games with their friends because it goes along with social skills and it is just plain old-fashioned fun to share with their friends. One of the most important benefits of LEGO bricks, or any building toy for that matter, is in the development of the psychomotor skills of children. This requires the intricate integration of the nervous system as it processes information from the senses and transmits these to the corresponding muscle groups with pinpoint accuracy. That is why you can pick up even a thin piece of needle on the floor simply because your brain is telling your muscles the amount of force it needs to apply to pick up the needle. In like manner, playing with LEGO bricks trains the brain to take full control of the different muscles of the young child. It teaches the muscles how to contract so that the LEGO piece won’t fall off. It also tells the muscles just how much tension it needs to apply when pushing down on the LEGO piece to interlock it with other pieces. Moreover, the brain is constantly computing the distances between spaces in the brick’s grooves and slots. This gives rise to the development of spatial intelligence, hand-eye coordination, and, of course, balance. And since we are already talking about brain power, LEGO is particularly beneficial in enhancing many of the cognitive processes of children including creativity, imagination, spatial reasoning, memory processing and recall, creative thinking, logical reasoning, critical thinking, and divergent problem-solving skills. In fact, several studies show that, compared with toys that foster convergent problem-solving skills, toys that allow for the development of divergent problem-solving skills led to the development of more critical thinking processes. This helps children understand the basis of scientific problem-solving. To put it simply, given a particular problem, they can think of a hundred different ways of solving it. This is why sometimes, some kids are way smarter than some adults because they see solutions that are not otherwise thought of by adults. That’s the power of divergent thinking. And LEGO toys and other building toys have been shown to be particularly good at developing. LEGOs for boys can also be used to develop or enhance the social and emotional skills of children. This is especially true when they begin sharing their bricks with others to build a particular model or structure. This helps build relationships. And, to help kids interact socially, they will need to develop or enhance their language and communication skills. Technically, cooperative playing with building toys helps children expand their vocabulary while at the same time enhancing their self-esteem. This also helps boost their self-confidence which can further enhance their social interactions and language development. 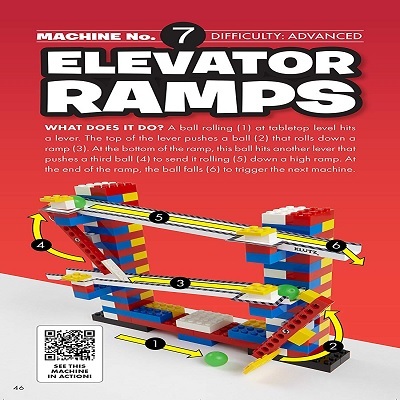 It’s true that LEGO has been helping kids master their developmental tasks for almost seven decades. LEGO has provided kids of all ages the correct instruments and tools to develop their psychomotor, cognitive, social, and emotional skills to the fullest. We believe our 10 top LEGO sets for boys will empower you to help your boy grow and develop to his full potential, too. q: Who has LEGOS on sale for Black Friday? There are many stores online and offline where you can find LEGOs on sale for Black Friday. When shopping online or even in the physical store, you can try Walmart.com and the store itself. You can also try Target, both online, and offline. Don't forget about Amazon. They have many deals available for LEGO sets on Black Friday. q: Which LEGOS are the collectible ones? There are many old and even new LEGO sets that are rare and worth money. The ones worth the most money are, of course, the Star Wars-themed ones, Cafe Corner, Taj Mahal, Death Star Two, which is part of the Star Wars collection, Imperial Star Destroyer, another Star Wars collection, and many more. Most of the Star Wars themes are collectible and worth money. Make sure to keep them in their case so that one day you can sell them if you want to that is. Or, you can also hand them down to your younger family members and let them keep them or sell them. 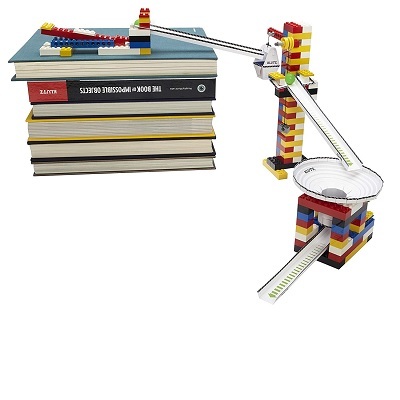 Ole Kirk Christiansen invented the very first LEGO set back in 1934. He started making his first wooden toys in 1932 and then, in 1934, he started calling his toy company, LEGO. The reason he started calling them LEGOs is because LEGO stands for the Danish phrase, Leg Godt which in English means, "play well." How cool is that? q: What LEGO sets have already been retired? q: What new LEGO sets are coming out soon?